Nigeria, the giant of Africa is not only blessed with the best rainforest, flora, it also has exciting wildlife sanctuaries and preservation centres that are located in different parts of the country. So, if you are a wildlife lover, you mustn't visit South Africa, Kenya or Tanzania to see the wild. There are lovely and beautiful wildlife destinations in Nigeria. Jumia Travel shares some of them. 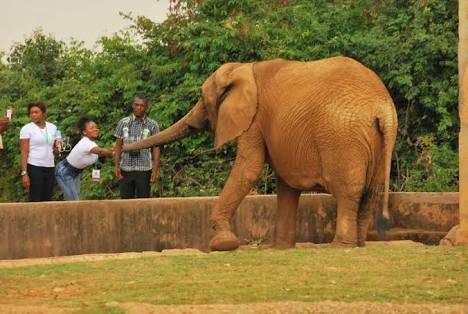 The Ogba Zoo covers about 750 acres and was established in 1966 and sits comfortably on Airport Road in the ancient Benin Kingdom. You will see the King of animals - lions, chimpanzees, giant tortoises, rock python, peafowls and many more.